These should all be draught-proofed or insulated, but make sure you leave deliberate vents open, such as areas where there are open fires or open flues, and rooms where a lot of moisture is produced, such as the kitchen, bathrooms and utility rooms. 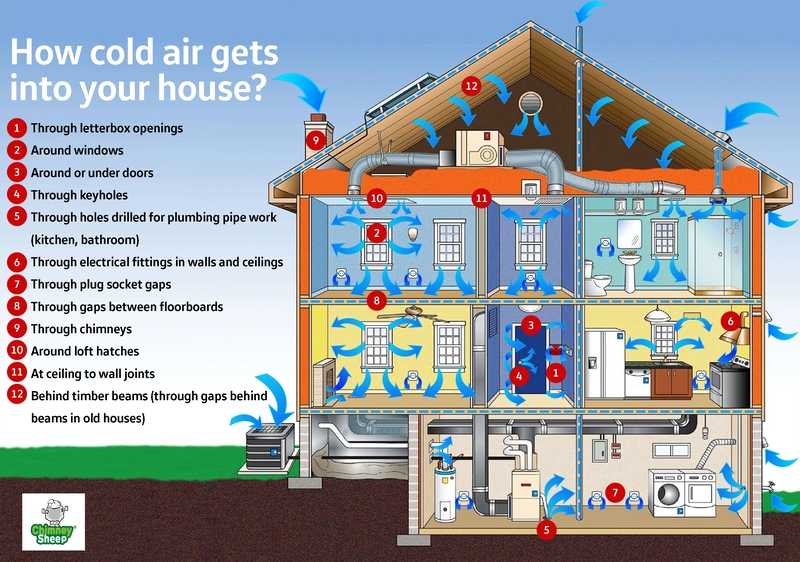 All homes should have controlled ventilation, to provide fresh air, reduce condensation and allow for air exchange. Leaky parts of the building are uncontrolled ventilation and let too much cold air in. What is the difference between draught exclusion and insulation? “Insulation” and “draught exclusion” are often used interchangeably, and any search for draught excluders will come up with insulation products, and vice versa. With draughts, homes lose heat by the passage of warm air up and out of gaps, pulling cold air in from around other gaps to replace it. This cold air is heated for a bit, until it is pulled out through those gaps again, and so it continues. If you want to get technical about it, the warmth is being lost through convection. Draught excluders work by either blocking the gap that the warm air is escaping out of, or blocking the gap the cold air is coming in through, or both. A draught excluder can be quite thin material, as it is simply blocking the flow of air. The trick is to fit it in the right place. For example, having an open chimney is like leaving a window open all the time. Around 80 cubic metres of air per hour is lost up the chimney, and this constant flow of warm air up the chimney is what pulls in cold air from around doors and windows. By blocking the chimney with an appropriate chimney blocker, you are both preventing the warm air from escaping and reducing the pull of cold air through other gaps. 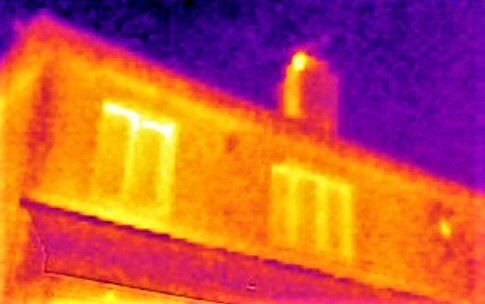 Insulation, on the other hand, prevents heat loss though conduction. Your home is warm on the inside and cold on the outside. The warmth is passing through the solid building materials that construct your roof, walls and floors, and is cooled by the colder materials on the outside of your house. By putting insulation material in the way, it traps lots of air which is a poor heat conductor, and prevents the warmth from being conducted out of your home. That’s why it’s important to have a thick enough layer of insulation in order for it to work effectively. Which is a more effective measure, insulation or draught proofing? If your house doesn’t have any insulation, then that’s where you should start. You could be losing around 25% of your household heat through an uninsulated loft. Topping up loft insulation is also beneficial. But once you start looking at retrofitting wall and floor insulation, it can get expensive and the payback takes longer. 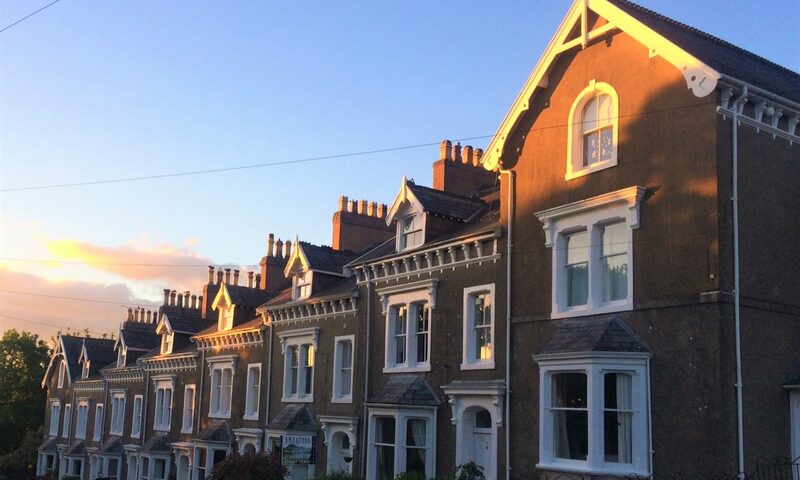 It is often cheaper and more effective to draught-proof your home to make a noticeable difference to the energy efficiency and comfort of your home.